We live in Mt Pleasant, which has become almost as big a foodie destination as our neighboring Charleston. There are fabulous restaurants to satisfy every palate here. That is why it is so rare for us to visit the same place twice in one week. We did that at Cuoco Pazzo, a very small, unassuming spot in a small strip mall. 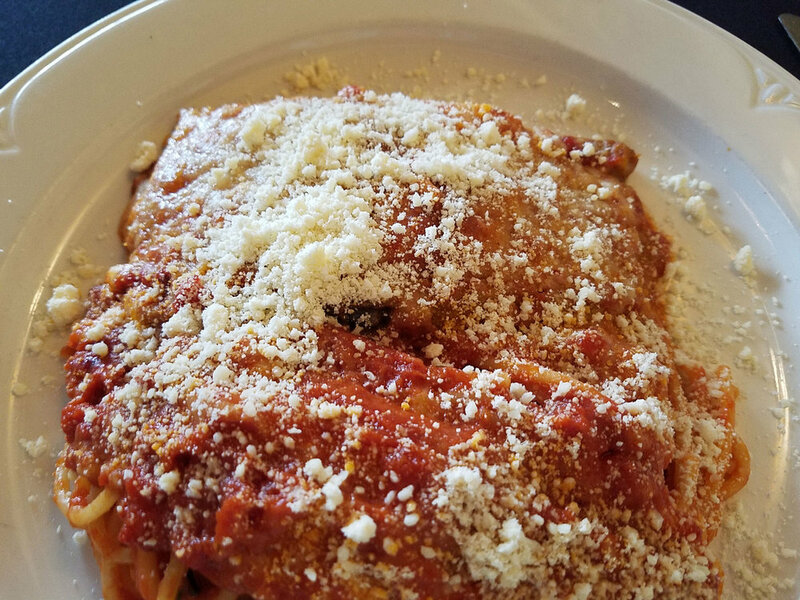 Not where you would expect to find authentic Italian food. Once you step inside you immediately feel like you are transported to Italy. We loved the small trattorias for their foods, wine and intimate atmosphere. You will find all of that at Cuoco Pazzo. What you will also find is amazing service! Casey was our waiter both times we visited, but there were 2 or 3 other waitresses who all worked together to make our experience wonderful. Recently, with all the restaurants popping up in the area, we have noticed that it is difficult to find impeccable service. The kind that starts from the minute you walk in the door to when you leave. The staff here has that mastered. Casey was warm, friendly and made excellent recommendations. I also appreciated how even if he was opening a bottle of wine for a large table, his eyes were always surveying the room to make sure everyone had everything they needed! The food is what will ultimately win you over! I love Italian food. I enjoy cooking Italian food. Our daughter-in-law was trained in Italy. We ate our way across Italy from the Amalfi Coast to Venice. So for us to find a restaurant that is a step above is a treat. I was recently told by an friend, who is from an Italian family in the Northeast US, that this is also her favorite, and that she had almost given up on finding great Italian food when she first moved here. On our first visit we went with our friend Bob. We split the Antipasto Misto which came with Prosciutto, salami, supresata, provolone, mozzarella, kalamata olives and pickled vegetables. Bob had the veal special which he said was amazing. 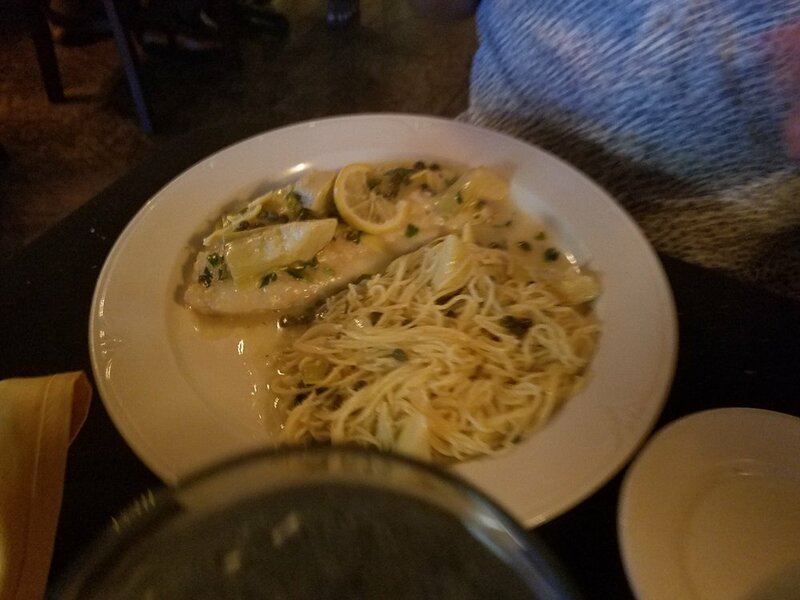 Mike went with Casey’s recommendation and had the Vitello alla Piccata, which was exquisite. I had the Mahi and shrimp special in a white wine and butter sauce served with angel hair. It was so light and perfectly cooked. We topped it off with Limoncello cake and of course a limoncello. On our second visit, Mike and I shared the Prosciutto Salad, which was a bed of spring mix topped, with thinly sliced prosciutto and bocconcini (small mozzarella balls) with a balsamic reduction. I ordered the Melenzane al Forno (eggplant), which was so thinly sliced and topped with pomodoro sauce and mozzarella cheese that it literally melted in your mouth. Mike, sticking with Casey’s recommendations, had the Penne alla Puttanesca and added Italian sausage. Again, Casey was spot on. The chef has an amazing ability to take his sauces to a higher level and kick up the flavor! Too full for desert, we finished off our meal with a delicious limoncello. We are pleased to have found such a lovely place that makes us feel so welcomed and relaxed. Everyone needs a go to place that won’t let you down! Cuoco Pazzo www.cuocopazzo.net is at 1035 Johnnie Dodds Blvd in Mt Pleasant SC. Since writing this review we've been back to Cuoco Pazzo yet again. This time with friends, David and April. Everyone had a wonderful meal, the service was just as good as our first two visits, although this time Casey had the night off. ?? - but very good!